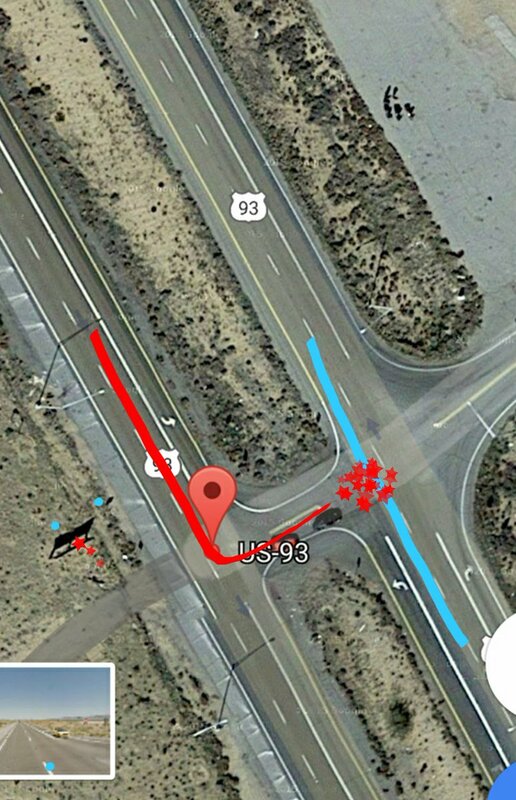 The crash was reported on northbound U.S. 93 about 28 miles north of Kingman at milepost 42, which is Pierce Ferry Road. The road leads to Dolan Springs. The Arizona Department of Public Safety said the crash involved a tour bus and passenger van. The DPS said no one in the bus was injured and four people in the van were killed. They are reported to be two adults and two teens. Officials also said the van was making an illegal left turn onto U.S. 93 when it collided with the bus. 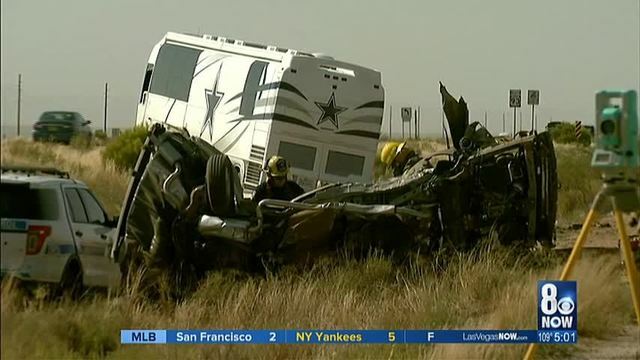 The department said the dead included a 52-year old man who was driving a van and three passengers, two 52-year-old women and a 19-year-old woman. The department didn’t disclose the passengers’ names or where they were coming from. The department said the van had been southbound on U.S. Highway 93 at about 1:30 p.m. and was trying to turn west to access Pierce Ferry Road when it collided with the oncoming bus, which had been traveling northbound. “The van … failed to yield the right of way from a stop sign and was struck by the motor coach,” Department of Public Safety spokesman Quentin Mehr said Tuesday. The football team has said the bus was taking staff members to a promotional stop in Las Vegas and that no players were aboard. Nobody aboard the bus required medical attention, the department said. The department hasn’t said whether the victims were taking Pierce Ferry Road to visit the Skywalk at Grand Canyon West. Speak of contradicting reports! 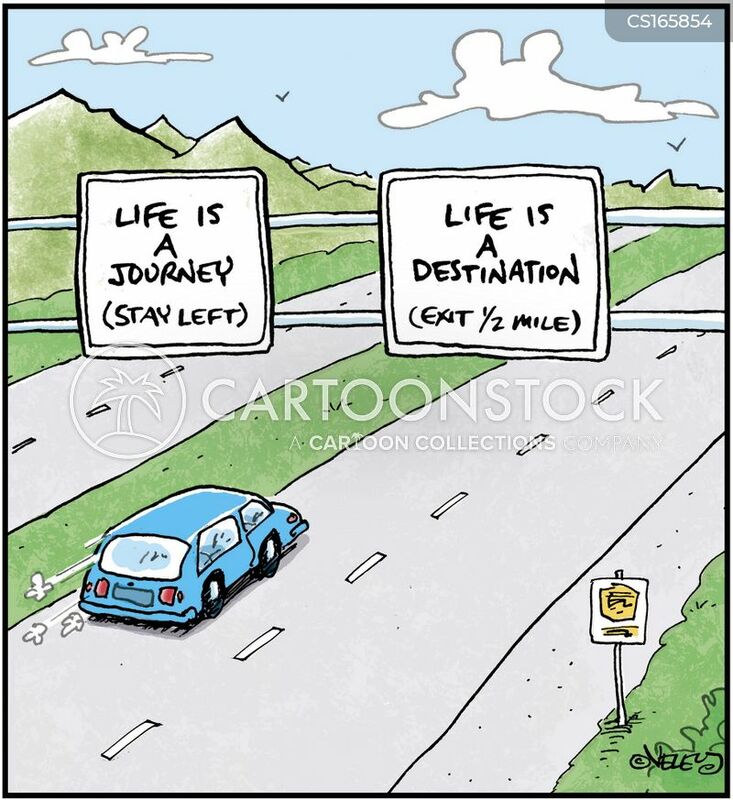 And in the latter case, shouldn't it read " ... trying to turn east to access Pierce Ferry Road" (Or at least northeast)? Yes, they were intended to turn northeast to access Pierce Ferry Road (not making a U-turn to northbound U.S. Highway 93 either). Actually I've never been to the Grand Canyon. I just couldn't in my mind's eye picture how an accident like this could happen on U.S. highways by the description: a southbound vehicle turning west and running into a northbound vehicle. Probably, somewhere in Greensboro, NC. 匝道 is a also new to me. Probably, the Chinese term was imported from Taiwan. I am wondering why it's not called 坡道 since 匝道 refers to "ramp", but 匝 actually means "circle" or "circumference". 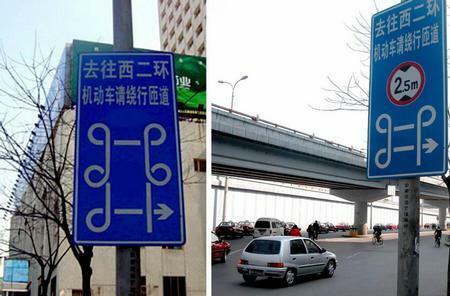 I am wondering why it's not called 坡道 since 匝道 refers to "ramp", but 匝 actually means "circle" or "circumference".